Physiotherapy Jobs Portal is registered with Central Excise Department of India. I am happy that Physiotherapy Jobs has been registered as a proprietorship concern with the Government.I would like to advise all the physiotherapists and students to get membership from our website. After BPT no need to worry about jobs, physiotherapy jobs is continuously sending current vacancies around India and Abroad also professional tips. 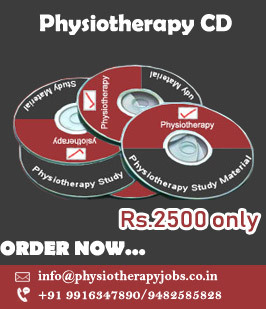 Its really nice service for all the physiotherapist because now days more 50% physiotherapist only knows that physiotherapist can get job only in two fields-Clinic/ Hospital or any college.So with the help of Physiotherapy jobs membership we can get more idea about our profession and earn more from physiotherapy field.